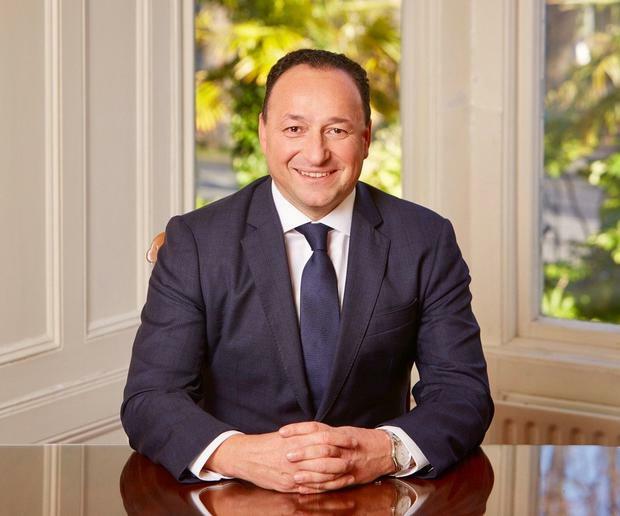 Keith is the CEO of Douglas Newman Good (DNG), a national estate agency network which has 75 branches throughout the country, including franchises. He has 34 years experience in the sector having joined the firm in 1984. 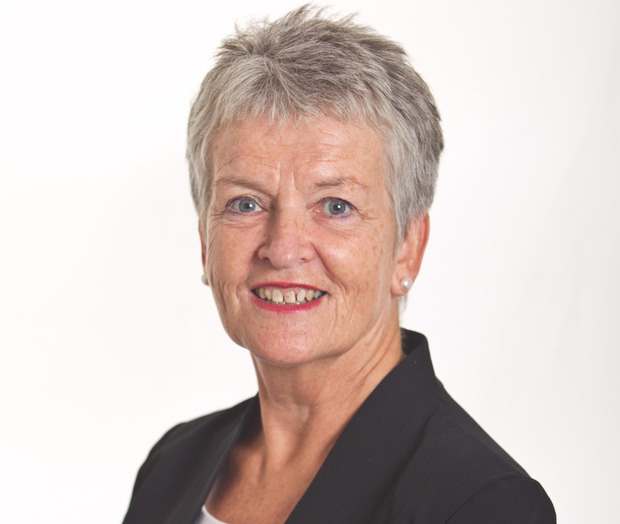 Aine is the director general of the Society of Chartered Surveyors Ireland (SCSI) which has a membership of 3,500 property and construction professionals. She holds a masters in planning and development economics and has worked in estate agency for 27 years. 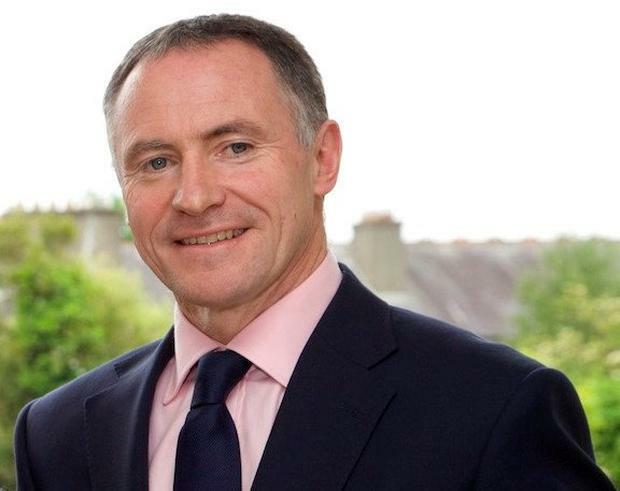 Michael is MD of the Sherry FitzGerald estate agency group, which has a 66 branch network nationwide, including franchises. He has almost 30 years experience in the property sector. 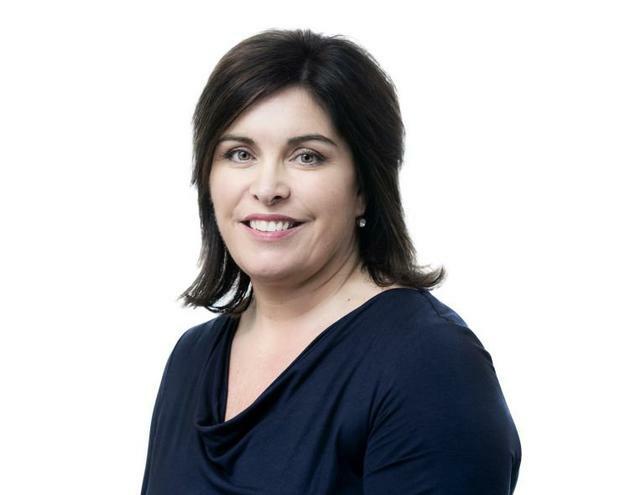 Darina is a director and founding member of the Real Estate Alliance (REA), a partnership of more than 50 estate agencies nationwide and is a partner in Drogheda-based REA O’Brien Collins. Pat is the CEO of the Institute of Professional Auctioneers and Valuers (IPAV), representing 1,100 professionals nationwide. 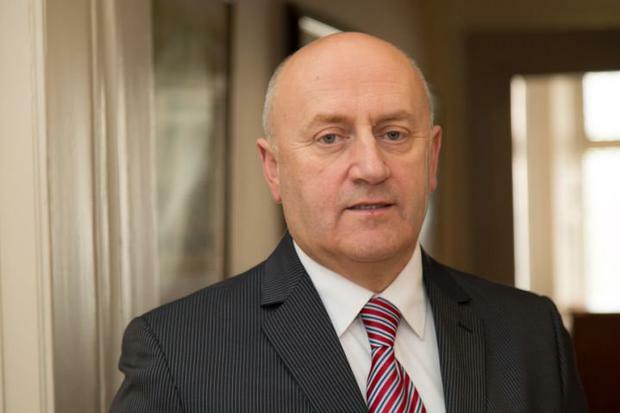 He has more than 35 years experience in the sector, spending much of it running the family auctioneering firm in Mullingar, Co Westmeath. How do you believe Brexit could affect the property market in Ireland? Some sectors like agricultural and food-related industries have already been identified as key risk areas, but so too is the construction sector which relies heavily on labour and materials from Northern Ireland and the UK not only in the housing sector, but also the delivery of infrastructure projects. Any decrease in economic activity could mean reduced employment levels, leading to reduced prices and transactions. Keith Lowe On the positive side it has led to a plethora of new firms announcing new openings and expansion of their operations in Ireland. London is also more questionable from an investment perspective and this has positively affected the Irish market, which will lead to increased demand. Several recent reports have ranked Ireland very highly as a favoured place for Foreign Direct Investment and there is no doubt Brexit is influencing this. Assuming an orderly Brexit is achieved, we predict a robust property market this year. A bad Brexit could have a negative effect on some areas, especially the border counties and in some rural locations. The effect will be less pronounced in the main urban areas. In fact there could be some positives. Dublin could well see an increase in demand for property in a post-Brexit scenario. The strength of our economy, our close ties to the UK and the similarity in our legal structures all point to Dublin benefitting in terms of Brexit migrants. Notwithstanding, the negative outlook for the UK economy and therefore its property market will negatively impact the purchasing power of a cohort of buyers. The first-time buyer/lower end of the market will be moderately affected, if at all. But, transactions are likely to slow down, with vendors taking a ‘wait and see’ approach. How many new homes do we need each year to deal with the housing crisis? Market gurus say 35,000. It’s difficult to see where these are to be built and how this extra stock will affect the market. Most estimates suggest there were 18/19,000 built in 2018. Outside of the commuter areas, builders still say construction is not viable. It is my opinion that 30,000 houses per annum is required, which would include 5,000 to 10,000 being allocated to social housing. This figure may need to rise in time should there be a spike in population in some areas. The key factors underpinning this estimate are the increasing rate of new household formation (driven by indigenous population growth, rising rates of separation, positive net migration flows and the replacement of obsolete housing stock). Our in-house forecasts suggested that we needed to supply 40,000 units per annum in the five-year period to 2021. Each year that we fail to meet this forecast, the latent demand is pushing up the forecast figure. Current indications are that we completed 18,000 units in 2018 rising to 21,000 this year. We need to more than double this output if we are to meet current demand. We need 35,000 new homes a year to cover population growth and existing demand. At the moment, we are producing 14,000. The ESRI states Ireland needs 25,000 to 35,000. The housing crisis is a significant and ongoing risk to our economy. We often equate house completion figures as just that; houses. We need apartments in our cities and large towns. We’re in economic competition with other countries and we need the right housing stock to provide for population growth. Is another property crash possible amid fears that the economy is overheating? I don’t believe it is. There was little credit in the market up to early 2018. And 60pc of purchasers were buying without mortgages. While properties have increased in some areas by a substantial amount, there has also been a correction in these areas over the past eight months. The market is cyclical and we are already seeing a slowdown in the rate of price increases. We do not envisage a dramatic crash such as previously seen, particularly because the Central Bank is keeping a tight rein on credit. As supply increases, demand will ease and prices should stabilise. Nothing is impossible but let’s be clear – our economy is not overheating. Property prices are still 20pc to 30pc below the previous peak and we have a particularly strong Central Bank to curb over lending. Higher interest rates coupled with increased supply will impact on prices in the future and it will be at that stage we will learn whether the Central Bank rules have proved sufficiently robust to minimise the downside of these external factors for homeowners. The property market the world over is cyclical in nature and as such a property crash is always a possibility. However, I see absolutely no sign of it in the short term. The residential market is underpinned by the economy, which is performing strongly. Google, Facebook, LinkedIn, Sales Force & Wework have collectively taken 1,750,000 sq ft of office space in the capital this year resulting in the creation of several thousand new jobs. These staff need accommodation leading to increased demand. Given the above, I see no risk of the market overheating. Is it a good time to trade down? No. There is a scarcity of suitable properties. You are competing with first-time buyers and investors at the lower end of market. Those trading down are often competing with first-time buyers and investors. While property tax rates are benign at the moment, with values having increased over the past few years, a rate change could prove to be expensive for someone living in a large property on a pension, so downsizing might well be the smart thing to do. Perhaps it is a more challenging time to downsize. The lack of suitable properties available is a limiting factor. Moving from a larger, more valuable property, for which demand may have softened, to the more popular end of the market where there is greatest activity and mortgage availability, could undermine the financial benefit of such a move. As no bridging-finance is available, many home owners wishing to trade down are finding it challenging. More new homes are assisting matters, as many builders allow buyers to place down fully refundable deposits, giving them time to sell their own homes. However, it is still the case that sourcing appropriate smaller accommodation in the same locality is often challenging. This is an especially important factor for those seeking to maintain their existing social networks. Yes, it is a good time to trade down as demand is good for larger houses and they have increased in price quite a lot. However it is a crowded market with FTBs, which can impact a trading down plan. Will rents rise or fall in 2019? Despite the introduction of rent caps, SCSI believes rental inflation will remain high. Despite rental increases over the past few years, the Residential Tenancies Board (RTB) reported that the number of landlords has dropped by nearly 1,800 since 2015. Some commentators see this as a good thing with ‘amateur’ landlords leaving the sector, but not all new supply will come from the Build to Rent sector. If we want a functioning rental sector, we need a mix of landlord and property types around the country to meet the varied demand. We don’t foresee any improvement. Rents can only increase by 4pc if they are in a Rent Pressure Zone (RPZ). It’s unfortunate the Government did not set a RPZ for the entire country at market rent as IPAV advised. The current system is unfair to landlords renting below market rent because they thought they were helping their tenants. Such landlords cannot achieve market rent and are effectively being discouraged from granting long-term leases to their tenants. Current indications suggest rents will rise by 4-5pc. Demand is well in excess of supply for rental accommodation. With the continued exodus of private investors from the market this position can only disimprove further. Rents will continue to rise. Rent certainty, (a form of rent control) has created two markets. Properties located in rent pressure zones which are now mainly let at well under market value will see the vast majority of their rents rise by 4pc next year – the maximum allowed under current legislation. Rental increases in properties located outside the rent pressure zones are likely to be mixed. I would anticipate that some rents will not increase at all as affordability issues, coupled with an increase in supply, start to have an impact. Is it a good time to be a first-time buyer? Absolutely – thanks to Help to Buy! In addition, the very competitive longer-term fixed mortgage interest rates available and the growing disparity between the monthly cost of renting versus the more affordable cost of buying (if you can get a mortgage) all makes a difference. The increasing choice available between new and second-hand property is also helpful in a less frantic market which is far better for the first-time purchaser. FTBs can take advantage of the Help-To-Buy scheme, which runs to end of this year. They need a lower deposit (10pc) than other buyers to comply with Central Bank rules and there should be stronger supply at this level also, providing choice for buyers. Yes. Firstly, banks continue to compete for their custom and are now offering up to 2pc cash back and 2pc off monthly mortgage payments along with low-interest-rate products for new customers. Couple this with the Government’s Help-To-Buy scheme, which provides a 5pc tax credit in the form of an upfront first-time buyers grant of up to €20,000 for new properties priced up to €500,000. Most first-time buyers are in rental accommodation and the majority will see their monthly outgoing fall when they buy, as rents now surpass mortgage payments in many cases. No. Affordability is a major issue due to Central Bank loan caps. A couple on an average income can no longer afford the price of a new starter home in many of the major urban areas. Those who can overcome the hurdles are better off buying than renting. Studies have proven time and time again that home ownership is one of the best methods of improving personal wealth over the longer-term. How do you rate the Government’s performance in the last year on housing? Are you encouraged by any measures from 2018? The introduction of the ‘Help to Buy’ scheme for first-time buyers of new homes has certainly been well received and has resulted in increased sales and supply in this sector. However, stringent and costly building regulations reflected in the prices of new homes have somewhat offset the advantages gained. The Government did make an effort to address the rental crisis by easing the burden of tax on landlords. Mortgage interest relief for private investors increased from 80pc to 100pc. Although positive, it only increases the net yield of a private investor by less than 50 basis points. The lifting of height restrictions for properties so that cities and towns can grow upwards rather than outwards was encouraging. Overall, performance has been lacklustre, marked by over regulation and new rules to counter the fallout from earlier regulations. The creation of the Land Development Agency is a welcome strategic move to help the delivery of new homes. It will have the powers to assemble large scale sites of both state and private lands and make them development-ready to speed up delivery. This is the type of agency that can help counter the lack of housing supply at times of market downturn. Overall, the Government’s performance has been reasonably good but it has been slower than I would have anticipated in introducing measures to help affordability for house buyers which is important for the future of our population and for ownership which is a pillar of Irish society.